← If CO2 Caused Mid-Pliocene Warming, What Caused late-Pliocene Cooling? You Guessed! Or perhaps stupidity has consequences…. That, too. But it is widely known that duct tape cannot fix stupid. Pearson doesn’t seem capable – which could be a good place to end the sentence, however – of understanding that private investors will want a return on their capital, and the level of risk will decide the level of return. The under use of reliable generation will require a high unit cost to justify the investment so there is no way it will reduce prices. Australia doesn’t have a capacity market, so Lord knows how they can last much longer. The electricity system needs a lot of top down design, not a free market with subsidies for the virtuous. It still survives because of the long lasting top down design done prior to privatisation, but those power stations are now old and nobody is going to replace them with shiny new ones. “And how do they do that? This comes as no surprise. 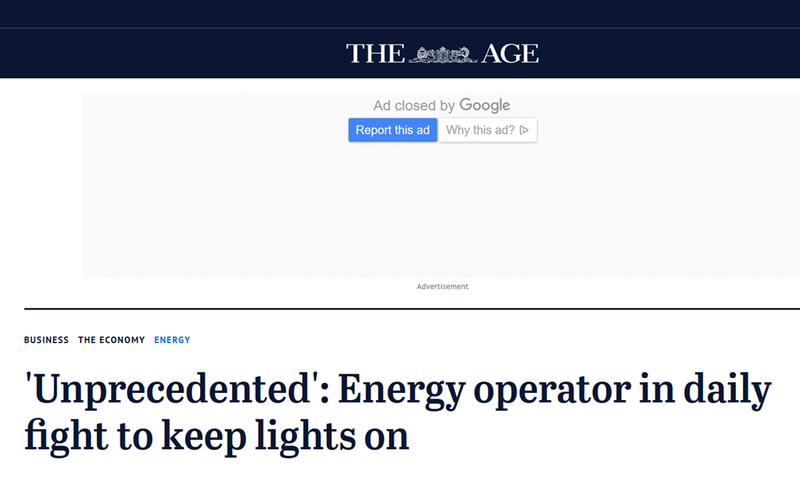 It’s what you expect when greens and other idiots are put in charge of something they no nothing about (ie the grid system). Newer power stations or Wind/Solar? Apologies if that’s a stupid question, English is my first language!